A wide variety of plasterboard fixings are available in the market that allow for easy fixing of different objects to a plasterboard wall, including fixing a curtain rail, mirror, shelf or flat screen TV. The type of fixing you choose will depend largely on the job at hand and the weight the fixing will hold. Here are common types of plasterboard fixings you can use for different purposes and how to fix them. A nylon plasterboard fixing is commonly used to secure light weight objects found around the house to a plasterboard wall, such as small pictures, curtain tie-backs and smoke alarms. Drill a hole on the plasterboard wall with the matching sized steel drill indicated on the packet to secure the fixing. Place the nylon plasterboard fixing into the hole and screw it in. 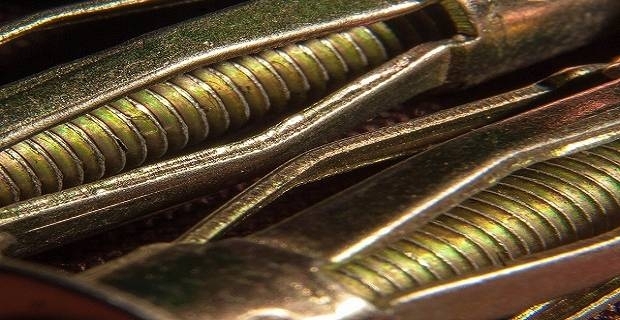 The screw compacts the fixing securely on the wall. An arrow head plasterboard fixing is used to fix light to medium weight objects securely to a plasterboard wall. Drill a hole on the plasterboard wall with the matching sized steel drill indicated on the packet. Slide the fixing into the hole and tighten the screw. The arrow head expands and clamps to the back of the plasterboard and secures into place. An interest plasterboard fixing is suitable for heavier objects that need fixing to a plasterboard wall. It is often purchased together with a clumping gun. Drill a hole on the plasterboard wall with the matching sized steel drill indicated on the packet. Position the fixing in the hole and clamp it into place with the gun. Tighten the screw to lock the fixing on the plasterboard. A spring toggle plasterboard fixing is suitable for securing heavier items on any plasterboard wall. Drill a hole on the plasterboard wall with the matching sized steel drill indicated on the packet. Slide the fixing into the hole all the way until it springs open on the back of the plasterboard. The plate will provide a clamp against the back of the wall. Tighten the screw to lock the fixing into place. 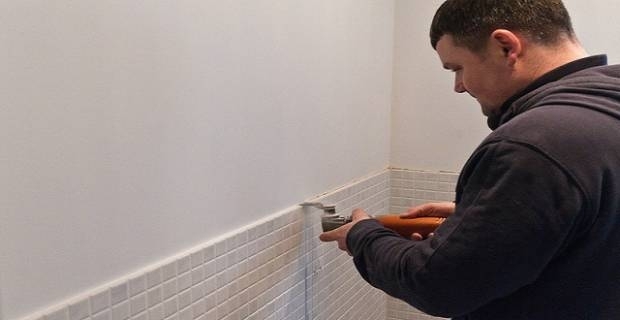 A self-drive plasterboard fixing is suitable for lightweight fixing around the home. Remove the screw from the fixing and drive the fixing itself into the plasterboard using either a handheld or cordless screwdriver. Drive the screw into the fixing to secure it into place. Note: Always refer to the manufacturer’s instructions when using any type of plasterboard fixings. Also, follow safe working practices like checking for pipes and wires before drilling holes in any type of wall.